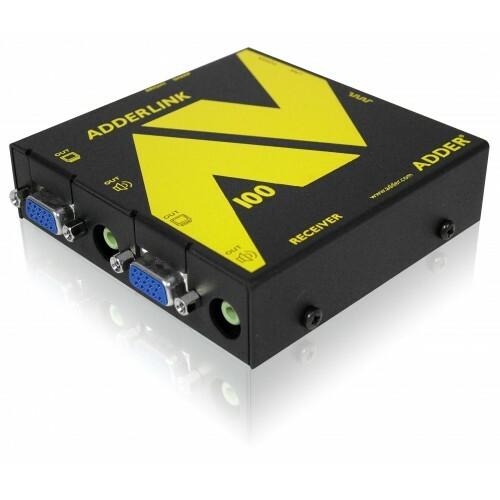 The AdderLink AV Series is a range of audio visual extenders delivering high video resolutions and superb quality audio up to 300m using standard CATx cable (x=5,5e,6,7). Designed for use in Digital Signage applications, the innovative design allows for flexible distribution that can grow in line with project developments and ensures direct delivery of crystal clear communication to consumers at the point of decision. 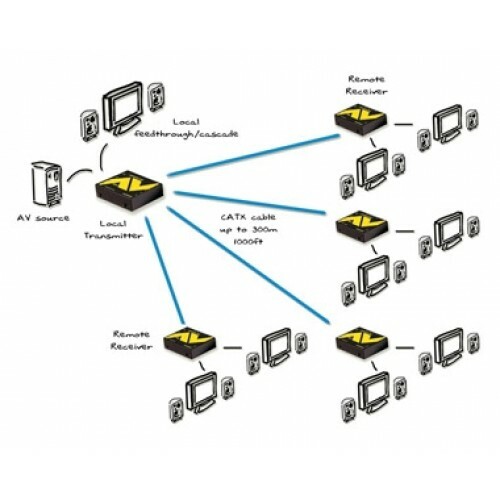 The AdderLink AV Series avoids the prohibitive costs of fibre optic cabling, displays with built in CPUs or locating a CPU next to each screen. Skew compensation adjustments can be made using the two rotary dials on the AdderLink AV101R receiver unit. The first dial affects the relationship between green and blue colour signals, the second red and green. The cable skew is produced due to wire length differences between different twisted pairs in a CATx cable that arise due to the different twist rates used to reduce signalling cross talk. The amount of cable skew seen depends on the cable type used and the cable length. 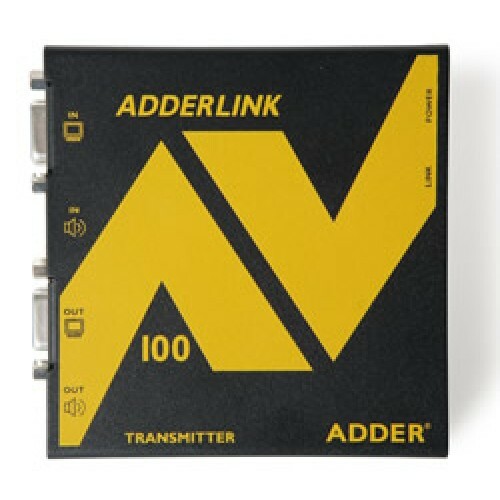 The AdderLink AV101R provides up to 62ns of DeSkew with a fine 2ns resolution. This means that high-resolution video can be accurately DeSkewed even at long cable distances. The DeSkew supports 300MHz bandwidths, which means that the DeSkew function does not adversely affect the video quality.